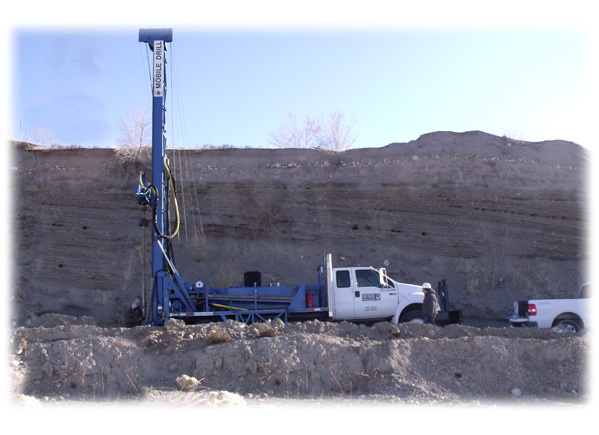 Western GeoLogic was formed in 2001 to provide high quality, cost-efficient services for our clients. Our geologists, engineering geologists, hydrogeologists, and environmental professionals seek to provide the optimum blend of a superior level of expertise and ability to meet your delivery schedule, all at very competitive rates. 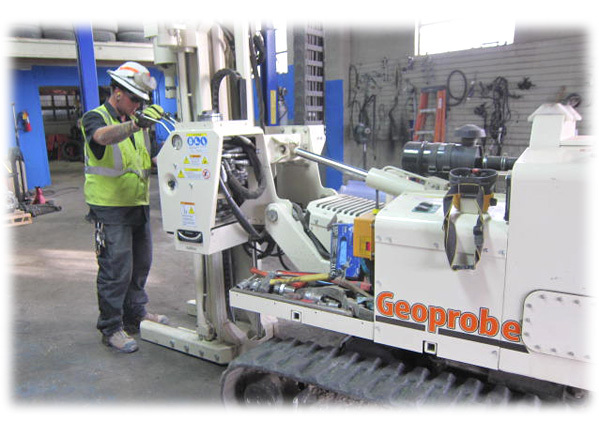 Western GeoLogic was formed in 2001 to provide high quality, cost-efficient services for our clients. A Philosophy of Problem Solving. Most city and county governments now require that geologic hazards be addressed as part of the development process. At Western GeoLogic, our goal is to serve as your technical advocate in identifying and addressing potential geologic hazards to balance geologic safety with optimum land use to help make your project a success. Most city and county governments now require that geologic hazards be addressed as part of the development process. Over the past several decades Environmental Site Assessments (ESAs) have become an essential element in commercial and industrial real estate transactions. The EPA's Comprehensive Environmental Response, Compensation, and Liability Act (CERCLA) places the responsibility for site investigation and cleanup on the current owner of a property if evidence of environmental problems is found. 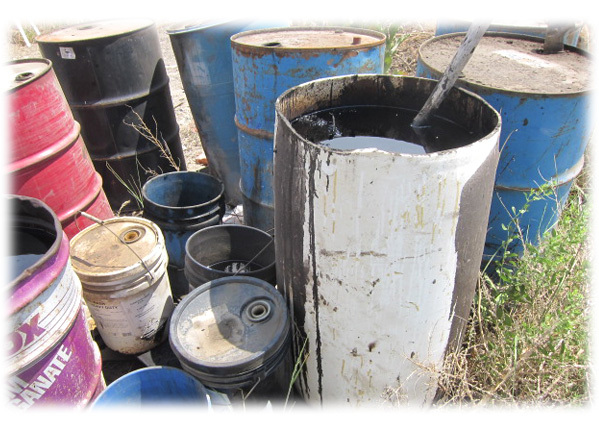 Unfortunately, the cost of characterizing contamination and performing an environmental cleanup can occasionally exceed the value of the property and even run into the millions of dollars. Environmental Site Assessments (ESAs) have become an essential element in commercial and industrial real estate transactions. 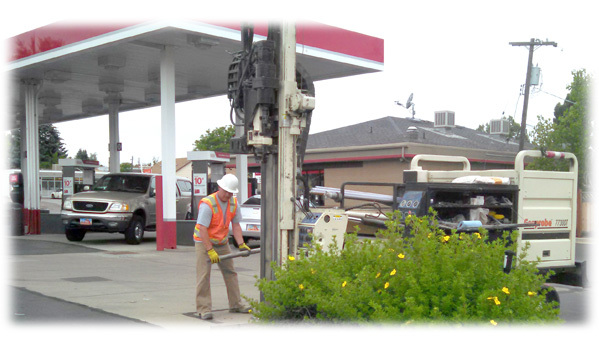 Our team provides a full range of hydrogeology, water well, and ground water services. As part of our ongoing commitment to education, research, and development, we have published papers in many institutional journals and publications. Profession details for all of the Western Geologic associates, saved in PDF format and available for download. and environmental due diligence services. 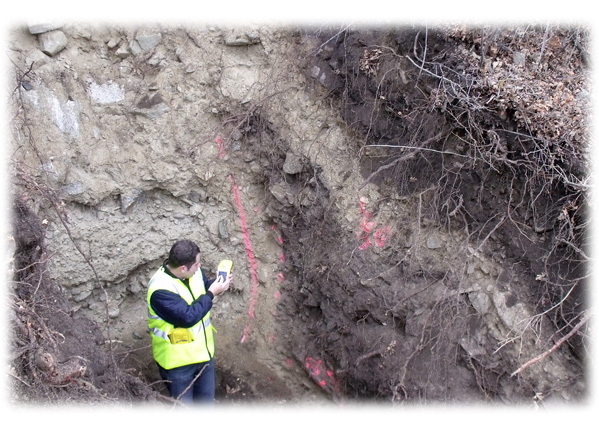 Our team provides high quality engineering geology investigations and environmental assessments, we have the experience and expertise to provide creative solutions to any of our client's geologic and environmental issues. Whether it is a residential subdivision, commercial building, school, church, bridge, roadway, or dam, we work with you to provide solutions to even the most challenging development challenges. 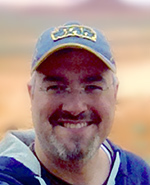 Our principal engineering geologist, Craig Nelson, Professional Geologist (P.G. ), Certified Engineering Geologist (C.E.G. ), and Certified Environmental Manager (C.E.M. 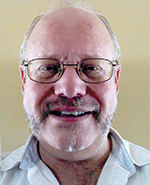 ), has over 32 years of experience. He served as the first Salt Lake County Geologist and coauthored the first geologic hazards ordinance in Utah. 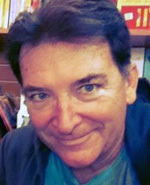 Some of our other associates include Craig Bartholomew, an Environmental Professional with over 24 years of experience with environmental due-diligence projects. 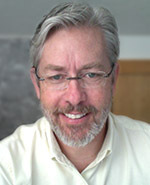 Bill Black, a Professional Geologist (P.G.) with over 27 years experience in engineering geology and environmental due-diligence projects. And Kevin Thomas, a Hydrogeologist with over 10 years experience in hydrogeology and groundwater projects. Throughout the years, we have seen many different approaches to technical geologic and environmental problems, so we know what works -- and what doesn't. Our geologists and environmental professionals have excellent credibility and long-standing relationships with members of the local, state and federal regulatory communities. We also understand the time constraints that our clients often face. When needed, we can help your project move forward without delay by offering expedited report delivery. We believe in doing it right the first time! A Philosophy of Problem Solving. Most city and county governments now require that geologic hazards be addressed as part of the development process. At Western GeoLogic, our goal is to serve as your technical advocate in identifying and addressing potential geologic hazards to balance optimum land use and geologic safety, and help make your project a success. Providing Acceptable Alternatives. When a new development is undertaken in an area of potential geologic hazards, we consider many alternatives for evaluation in planning your project. 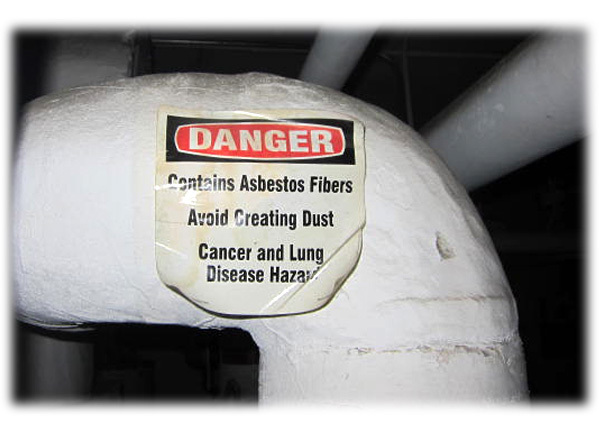 The simplest way to eliminate geologic hazard risks is by avoiding them. Our geologists are experts at identifying potential hazards and helping define acceptable building locations or set-back zones to avoid risk to structures. This alternative is typically used with active faults. Sometimes, after careful probability evaluation, it is determined that the risk to the occupants and structure is sufficiently low that no mitigation measures are required. The decision to accept the risk is then up to the client or developer. When a geologic hazard cannot be avoided or economically eliminated, as in the case with earthquake ground shaking or soil liquefaction, risk reduction can take the form of structural modification such as strengthening or redesigning. 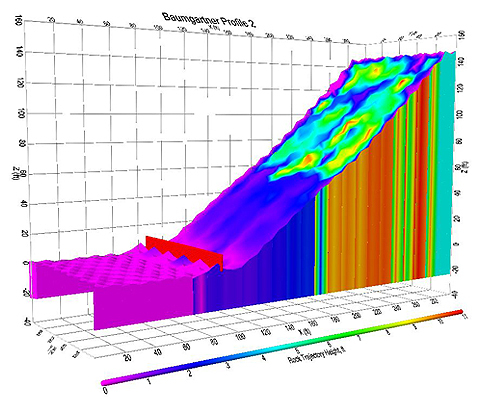 Western GeoLogic specializes in providing ground motion estimates for building site, liquefaction analysis, and retaining wall designs for structural engineers. 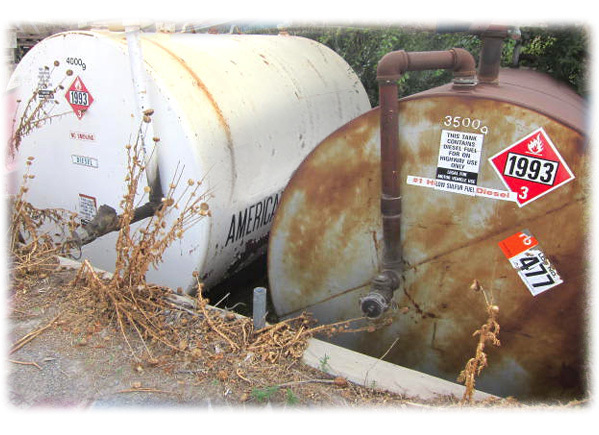 Once a hazard is identified it is often more economical to remove or reduce the source of the hazard than to avoid it. This strategy is often used when a development is confronted with risks of landslide or rockfall. One way to handle this situation is remove potential rockfall clasts from above the site, or to stabalize a landslide-prone slope, increasing the project's safety to an acceptable level. Environmental Site Assessments (ESAs) can help protect you in your commercial and industrial real estate transactions. 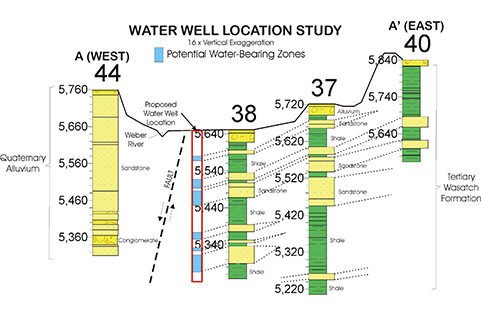 Phase I Environmental Site Assessment reports — Western GeoLogic reports are guaranteed to meet or exceed the ASTM-E-1527 standard for Phase I Environmental Site Assessments. We can customize our reports to meet any special requirements of a lender. Phase II Subsurface Investigation reports — The majority of Phase I ESAs find no evidence of environmental problems. 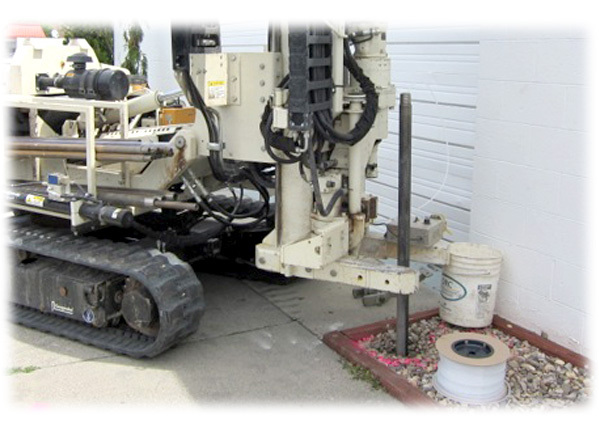 In some cases, samples of soil, groundwater, or building materials are needed to verify site conditions. Our experts can efficiently characterize a site to reduce costs and can often effectively use risk-based analyses to close a site without remediation. Environmental Transaction Screen reports — Some sites, such as rural undeveloped vacant parcels, can be reviewed for environmental concerns by performing a transaction screen, a faster and less expensive alternative to the Phase I ESA. Records Search with Risk Assessment (RSRA) Process Reports — A less-expensive due diligence report for low risk properties that allows a lender to evaluate environmental risk. In the event an environmental problem is discovered after purchase, CERCLA does provide legal protection to the property buyer, if an ESA was performed prior to the sale. This protection, known as the "innocent landowner defense," requires the exercise of "due diligence" by having conducted an ESA investigation. Sophisticated lenders require ESAs to help avoid inheriting environmental liabilities for a site when they make a loan and accept property as security. Only verifiable performance of due diligence can help support a lender's claim of the innocent landowner defense. The primary goal of a Western GeoLogic ESA is to identify any environmental liabilities before a buyer or lender "owns a problem" and to qualify them as innocent landowners should a problem be discovered in the future. Given the early variation in scope and quality of ESAs, the American Society for Testing and Materials (ASTM) developed a standard protocol to define the minimum standards an ESA must meet to qualify as due diligence. ESAs conducted by inexperienced or unqualified environmental consultants often fail to meet the ASTM standards and could jeopardize the innocent land owner defense. All Western GeoLogic ESAs meet or exceed applicable ASTM standards and are performed only by our highly qualified, experienced environmental professionals. Batatian, L.D., Christenson, G.E., and Nelson, C.V., Minimum Standards for Surface Fault Rupture Hazard Studies in Utah: Utah Geological Survey Circular, in press. Batatian, L.D. and Nelson, C.V., Salt Lake County natural hazards ordinance, in press. McCalpin, J.P., and Nelson, C.V., 2000, Long recurrence records from the Wasatch fault zone, Utah: Unpublished Final Technical Report submitted to U.S. Geological Survey by GEO-HAZ Consulting, Inc., Contract 99HQGR0058, May 24, 2000, 61 p.
Batatian, L.D. and Nelson, C.V., 1999, Fault setback requirements to reduce fault rupture hazards in Salt Lake County: Association of Engineering Geologists Program with Abstracts, 42nd Annual Meeting, p. 59. Nelson, C.V., Brink, J.D., Heppler, Leslie, Braceras, Carlos, Bishoff, Jon, and Brown Keith, 1997, Interpretation of late-Pleistocene and Holocene stratigraphy and depositional environments in the Salt Lake Valley, Utah using borehole logs and cone penetrometer soundings: Geological Society of America Abstracts with Programs, vol. 29, no. 6, p. 56. Nelson, C.V., Sakai, S., and Gunalan, K.N., 1997, Evaluating soil strength gain due to embankment loading - A case study from the I-15 Corridor reconstruction project, Salt Lake County, Utah: Proceedings of the 32nd Symposium on Engineering Geology and Geotechnical Engineering, p. 269-277. Crouse, C.B., Nelson, C.V., McGuire, J., and Bischoff, J., 1997, Seismic hazard analysis of the I-15 Corridor - Salt Lake County, Utah: Proceedings of the 32nd Symposium on Engineering Geology and Geotechnical Engineering, p. 215-230. Nelson, C.V., 1995, Rockfall hazard risk assessment and probability - A Case Study, Ogden Canyon, Utah: Environmental and Engineering Geology of the Wasatch Front Region, Utah Geological Association Publication 24, p. 157-160. Nelson, C.V., 1995, Rockfall hazard probabilistic risk analysis, A case study, Ogden Canyon, Utah: Geological Society of America Abstracts With Programs, Vol. 27, No.4, p. 49. Nelson, C.V., 1993, Rockfall hazards: A guide for land-use planning, Salt Lake County, Utah: U.S. Geological Survey Professional Paper 1519, p. 138-142. Nelson, C.V., and Christenson, G.E., 1992, Establishing Guidelines for Surface Fault Rupture Hazard Investigations - Salt Lake County, Utah: Proceedings of the Association of Engineering Geologists 35th Annual Meeting, p. 242-249. Lowe, Mike, Nelson, C.V., Robison, R.M., and Christenson, G.E., 1991, Reducing Earthquake and Other Hazards Through Land-Use Planning, Wasatch Front, Utah: Annual Earthquake Engineering Research Institute Meeting (poster session abstract), Salt Lake City, UT, February 14-16. Lund, W.M., Christenson, G.E., Harty, K.M., Hecker, S., Atwood, G.A., Case, W.F., Gill, H.E., Gwynn, J.W., Klauk, R.H., Mabey, D.R., Mulvey, W.E., Sprinkel, D.A., Tripp, B.T., Black, B.D., and Nelson, C.V., 1990, Geology of Salt Lake City, Utah, United States of America: Association of Engineering Geologists Bulletin, Vol. 27, No. 4, p. 391-478. Nelson, C.V., and Raseley, R.C., 1990, Estimating Sediment Yield and Implementing Erosion-Control Mitigation Measures Following A Wild Fire Event, The Affleck Park Fire Case: Utah Non-Point Source Water Quality Conference Abstracts, p. 3. Madsen, G.E., Anderson, L.R., and Nelson, C.V., 1990, The Uses of Opinion Surveys in Earthquake Risk Reduction Programs in Utah: Presented at the Earthquake Engineering Research Institute Meeting, Palm Springs, California. Nelson, C.V., and Raseley, R.C., 1990, Debris Flow Potential and Sediment Yield Analysis Following Wild Fire Events in Mountainous Terrain: Proceedings of the American Society of Civil Engineers International Symposium on the Hydraulics/Hydrology of Arid Lands, p. 54-59. Madsen, G.E., Anderson, L.R., Barnes, J.H., and Nelson, C.V., 1989, Earthquake Risk and Defensive Policies as perceived by Community Leaders and the Public: Report to the Utah Council on Intergovernmental Relations, Second Annual Summit Conference, August 25, 1989, Salt Lake City, UT, 15p. Nelson, C.V., 1989, Rock Fall Hazards, A Guide to Land Use Planning: Salt Lake County, Utah: U.S. Geological Survey Open-File Report 90-225, p. II-1 - II-15. Nelson, C.V., 1989, Geologic Hazard Maps for Land Use Planning and Development, The Special Study Area Approach, Salt Lake County, Utah: Geological Society of America Abstracts With Programs, Vol. 21, No. 6, p. A-19. Nelson, C.V., and Raseley, R.C., 1989, Evaluating the Debris Flow Potential After a Wild Fire; Rapid Response Using the PSIAC Method, Salt Lake County, Utah: Geological Society of America Abstracts with Programs, Vol. 21, No. 5, p. 121. Christenson, G.E., Lowe, Mike, Nelson, C.V., and Robison, R.M., 1989, Wasatch Front County Hazards Geologist Program: Association of Engineering Geologists 32nd Annual Meeting Abstracts with Programs, p. 56-57. Lowe, Mike, Robison, R.M., Nelson, C.V., and Christenson, G.E., 1989, Slope Failure Hazards in Mountain Front Urban Areas, Wasatch Front, Utah: Association of Engineering Geologists Abstracts and Program, 32nd Annual Meeting, p. 90-91. Nelson, C.V., 1988, Preparation and Use of Earthquake Ground Shaking and Rock Fall Hazard Maps, Wasatch Front, Utah: Geological Society of America Abstracts with Programs, Vol. 20, No. 6, p. 459. Nelson, C.V., 1988, Dresden Lane Fault Investigation: Utah Geological & Mineral Survey Report of Investigations No. 218, p. 129-131. Nelson, C.V., 1988, Geoseismic Evaluation, Granite Fire Station, Salt Lake County, Utah: Utah Geological & Mineral Survey Report of Investigations No. 218, p. 99-128. Barnes, J.H., and Nelson, C.V., 1988, Natural Hazards Ordinance: Salt Lake County Code of Ordinances, Chapter 19.75, Book Publishing Company, Seattle, WA, p. 671-673. Christenson, G.E., Lowe, M.V., Nelson, C.V., and Robison, R.M., 1987, Geologic Hazards and Land Use Planning, Wasatch Front, Utah: Geological Society of America Abstracts with Programs, Vol. 19, No. 5, p. 265-266. Christenson, G.E., Lowe, M.V., Nelson, C.V., and Robison, R.M., 1987, Geologic Hazards and Land Use Planning, Wasatch Front: Utah Geological & Mineral Survey-Survey Notes, Vol. 21, No. 1, p. 3-14. Nelson, C.V., Christenson, G.E., Lowe, Mike, and Robison, R.M., 1987, The Review Process and Adequacy of Engineering Geologic Reports, Wasatch Front, Utah, in McCalpin, James, (ed. ), Proceedings of the 23rd Annual Symposium on Engineering Geology and Soils Engineering: Utah State University, April 6-8, 1987, p. 83-85. Nelson, C.V., 1987, Surface Fault Rupture and Liquefaction Potential Hazard Area Map: Salt Lake County Public Works - Planning Division, Salt Lake City, UT, Scale 1:37,000. Liddell, W.D., Nelson, C.V., Boss, S.K., and Martin, R.E., 1987, Sedimentological and Foraminiferal Characterization of Shelf and Slope Environments (1-234m), North Jamaica: Proceedings of the Third Symposium on the Geology of the Bahamas, CCFL Bahamian Field Station, p. 91-98. Liddell, W.D., Boss, S.K., and Nelson, C.V., 1986, Sedimentological Characterization of Holocene Shelf and Slope Environments (1-300m), North Jamaica: Proceedings of the Third Symposium on the Geology of the Bahamas, San Salvadore, Abstracts, p.16. Nelson, C.V., Liddell, W.D., and Martin, R.E., 1985, Bathymetric Distribution of Foraminifera Over the Range of 1-240m in Carbonate Shelf and Slope Environments: Geological Society of America Annual Meeting Abstracts with Programs, Vol. 17, No. 7, p. 675.